Many observers would agree that a lot of universities today no longer champion liberal education but are little more than academic corporations that bequeath to their graduates a degree in debt. Such debts often reach six figures and require a lifetime to remit while the lenders receive millions in interest and enrich themselves. It’s been said that we often accept what we choose to get used to. Sadly, we have chosen to get used to the corporate university with its rising tuition costs, which are passed on in true business fashion to the consumers (students and their parents). How many families can afford tuition, room and board costs that often run $40,000 to $68,000 per year — and continue to rise? Unless we favor education only for the most affluent, the answer is that only few can afford college without extensive borrowing. This cannot go on. The effect on students is predictable. They are drawn to technological and related programs (job training, actually) that seem to promise sure employment upon graduation so they can repay their loans. (This, by the way, is based on a myth, as the constant change in technologies makes specific preparations soon obsolete). They defer marriage and home purchases. The effect on “accommodating” universities is that the ideal of the liberally educated student (he or she who is primarily concerned with learning how to live rather than how to make a living) becomes secondary. It seems only logical to me that universities, to avoid the corporate drift to bottom-line thinking, should be even more devoted to liberal education and strengthening their faculties accordingly. However, the recent trend toward hiring adjunct teachers and professors, competent though they may be, is part of the problem, as universities save and accrue money by not hiring full-time faculty. 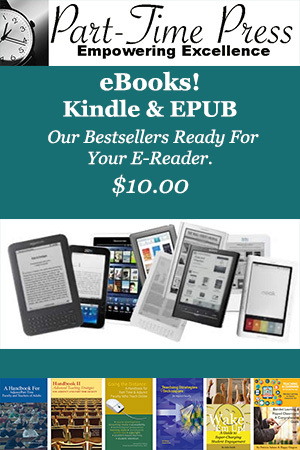 This is nothing but profiteering. 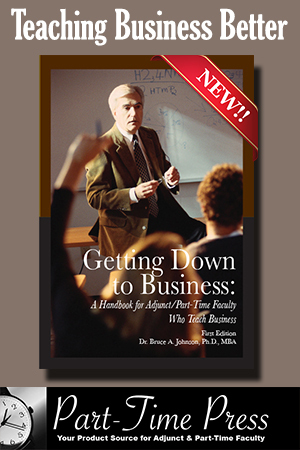 An adjunct is by definition one who is employed when the regular faculty is overburdened and needs supplementary help on a part-time basis. Or an adjunct is someone hired to provide special skills for a contracted period. Adjuncts were never meant to be hired en masse in lieu of hiring adequate numbers of full-time faculty. Notre Dame, an exception these days, recognized this when its faculty voted that adjuncts could never exceed 25 percent of their number, and, in practice, the administration has kept the figure much lower than that. I taught at Duquesne University for 43 years. Staffed by full-time faculty with only a few albeit-underpaid adjuncts, Duquesne was solid academically and hosted prominent outside speakers such as W.H. Auden, Nadia Boulanger, Hans Kung, Charles Malik, Princess Grace of Monaco (the only honorary degree she ever accepted was from Duquesne), Mortimer Adler, Mark Van Doren, Gian Carlo Menotti and James Laughlin. Duquesne now has more than 500 adjuncts (with the number varying over the past few years between 486 and 513). This decisively exceeds the number of full-time faculty! Currently, an adjunct in the College of Liberal Arts is paid about $4,000 per semester to teach a three-credit course. The cost to a student for such a course is approximately $3,000. If 30 students enroll in the course, the university derives $90,000 from that course alone. Deducting the adjunct’s fee of $4,000 from the total leaves the university with $86,000 (minus a relatively small amount for the administrative and building costs attributable to the use of the classroom). 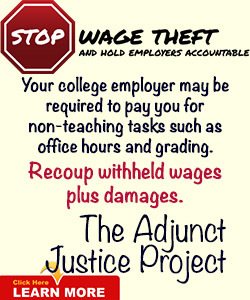 The adjunct receives no health or retirement benefits. If you apply the same calculations to 500 adjuncts, the results are astounding. If each teaches but a single class of similar size (some teach two or more), the income to the university per semester ($90,000 multiplied by 500) is $45 million. The total cost for adjuncts ($4,000 multiplied by 500) is $2 million. That leaves the university with $43 million per semester. This may be business as usual for Walmart or McDonald’s, but should it be for a university? Is this where “higher” education is heading? The decision by Duquesne adjuncts to unionize in affiliation with the United Steelworkers should hardly be surprising, particularly since some 25 percent of adjuncts nationwide rely on public assistance to make ends meet. The goal of the adjuncts is to bargain for more equitable payment and for at least some medical and retirement benefits. Yet the administration is resisting — to the point of appealing a June ruling by the National Labor Relations Board that ordered it to recognize the union and vowing to take the case to the federal courts, if necessary. The university claims that its status as a religious institution exempts it from NLRB jurisdiction, although it has recognized a full-time-faculty union — the American Association of University Professors — for years. Duquesne is no less Catholic than Georgetown. Although one Duquesne administrator, whose opinion I respect, said the university’s attitude toward adjuncts has always been one of consideration and concern, this is not the real issue. Benevolence is no substitute for justice, and justice is the issue. 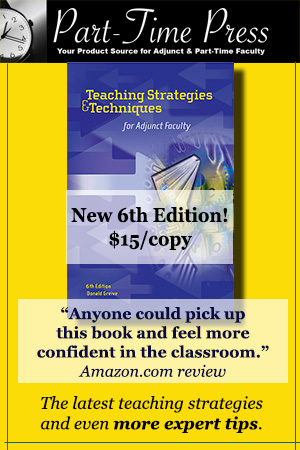 Why should the adjuncts accept a situation that they choose not to get used to? And why should the university accept a situation that an equally prestigious Catholic university in the nation’s capital chose not to get used to? If magnanimity remains a Christian virtue, the answer is obvious.